Wealth Dynamics is a revolutionary technology that will guide you on your path to wealth by matching ALL the eight paths to wealth, with personality types. It provides the answers for anyone who has been confused or frustrated by the apparently conflicting advice of successful wealth creators. The polar opposites of wealth creation. Value ownership vs value leverage. Three critical obstacles to wealth creation. Wealth path vs industry path. How certainty turns failure into accelerated growth. 1. The formula for wealth and the wealth paradox. 2. How to tune into your wealth frequency. 3. Your 6 step strategy to create wealth based on your wealth profile. 4. The journey to "wealth beyond words". We suggest that to get maximum value from this CD set that you first discover your own wealth profile. It only takes 15 minutes to discover your wealth profile... for just US$100, you can take your test. See our Wealth Dynamics Profile Test. 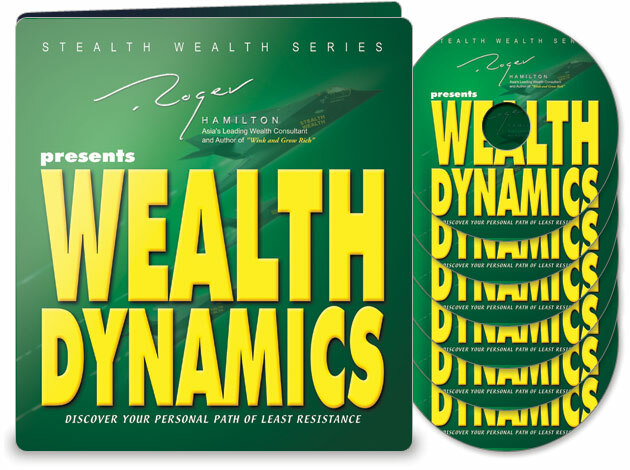 Click the button below to add the Wealth Dynamics (6CD set) to your wish list.